Coconut Secret was developed in the Spring of 2008 when a brother and sister, Randy and Leslie, had a desire to create a low glycemic, gluten-free snack line that was truly safe for diabetics, using the purest, most organic, least processed ingredients they could find. A few years earlier both of their parents were diagnosed with Diabetes, and they quickly became appalled at what was being passed off as "diabetic-safe" foods, especially in the snack category. These siblings' goal was to find a natural sweetener that was safe for diabetics. After much research, they learned about the healthful benefits of coconut sugar. 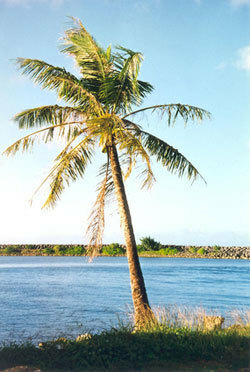 Coconut sugar is made by collecting the "sap" from coconut tree blossoms. This naturally sweet sap is very low glycemic (GI of 35), raw and enzymatically alive, an abundant source of 17 amino acids, minerals, vitamin C, broad-spectrum B vitamins, and has a nearly neutral pH. Randy and Leslie discovered that sugar is disguised on labels in a myriad of creative technical terms. Newly invented imitation sugar substitutes are used as sweetening agents. Sugar in other forms are frequently added such as fruit juice concentrates, honey (which when heated and processed for use in manufacturing, essentially becomes sugar syrup), and the most infamous of all, "high fructose corn syrup" (HFCS), now widely known as one of the primary contributors to Diabetes and Obesity. None of these sweeteners are truly "safe", no matter how they are purported to breakdown in the body. The bottom line, is that sugar by any other name is still perceived by your body as a sugar, and thus, prompts it to respond the same as it would with sugar by increasing blood sugar concentrations. This in turn, causes your body to produce an over abundance of insulin to compensate. A downward spiral begins to occur, as your blood sugar levels then take a dive in the opposite direction and decrease rapidly, thereby initiating an equally rapid decline in energy. An endless seesaw effect of ups and downs, that over time, truly takes its toll on our exhausted bodies. 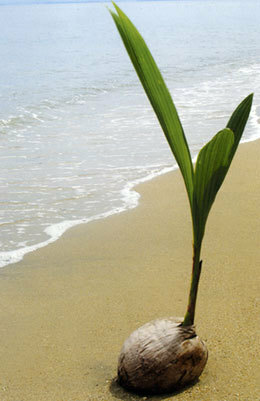 Coconut sugar is made by collecting the "sap" from coconut tree blossoms. Who knew?! There are specific species of coconut trees that can be "tapped" (much like maple trees are tapped in the maple syrup making process). Bamboo containers are used to collect the sap of the coconut trees right at the blossoms. When the coconut trees are tapped, they produce a continuously flowing "inflorescence" (juice or sap) that exudes from the coconut blossoms. This naturally sweet sap is very low glycemic (GI of 35), raw and enzymatically alive, an abundant source of 17 amino acids, minerals, vitamin C, broad-spectrum B vitamins, and has a nearly neutral pH. It is then minimally evaporated at low temperatures (only to remove excess moisture), never exceeding an average summer day in the tropics. The end result is a syrup-like product known as coconut "toddy", which is then further evaporated into crystal form to produce the coconut sugar. Improves Heart Health by providing healthy short chain and medium chain fatty acids (MCFA) that are essential to good health. Close to 98% of all fatty acids consumed are composed of long-chain fatty acids (LCFA), which are very different from MCFA that have no negative effect on cholesterol ratios and help to lower the risk of atherosclerosis and protect against heart disease. Studies have shown that populations in Polynesia and Sri Lanka, where coconuts are a dietary staple, do not suffer from high serum cholesterol or heart disease. Unlike other fats, the unique properties of coconut also contain a large amount of lauric acid, which is the predominant fatty acid found in mother's milk. High in Dietary Fiber rivaling other fiber sources such as psyllium, wheat bran, oat bran, and rice bran. Coconut supplies an impressive 61% dietary fiber! Foods contain two types of carbohydrates - digestible and non-digestible. Digestible carbohydrates (soluble fiber) consists of starch and sugar and promote calories. Non-digestible carbohydrates (insoluble fiber) contains NO calories. Since the body cannot digest the dietary fiber in coconut, no calories are derived from it and it has no effect on blood sugar. I received some Coconut Secret products to review. I chose the Coconut Crystals and the Coconut Nectar. My Experience: I have been intrigued with Coconut Secret products ever since I first read about all of the healthful benefits of coconut. I was excited to try Coconut Crystals in place of regular sugar in my baking. I decided to make homemade brownies. 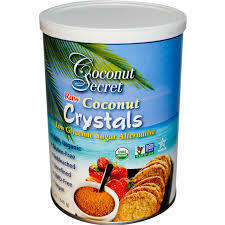 The recipe called for 2 cups of sugar, and I substituted one cup of Coconut Crystals for one cup of the white sugar. In the end, my brownies turned out fabulous and tasted deliciously rich and sweet. I was so happy when my family was enjoying them, especially because I knew that they were much healthier than normal brownies. My Experience: My daughter, Kendallyn has been researching healthful recipes for delicious smoothies. She has been adding Coconut Nectar for the perfect blend of sweetness. She is hooked! I used this wonderful nectar on my son's oatmeal this morning, instead of our usual sugar for his first day back-to-school breakfast. He absolutely loved it! He just started first grade. My baby is growing up! Look at my little first grader!